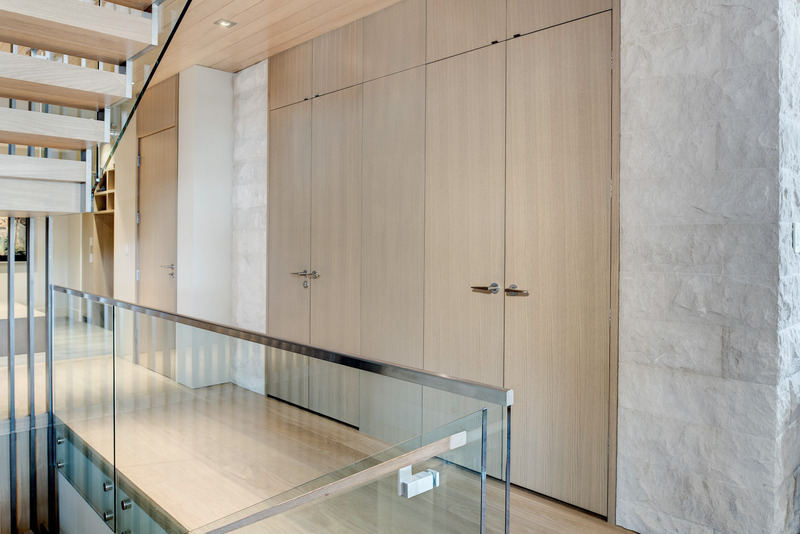 From front-entry door systems to wall panelling, the classy, cool shimmer of white oak tops our clients’ choices – and earns our Wood Species of the Month honour. Seeking a look of contemporary elegance, customers clamour for this illustrious hardwood from Eastern and Central North America. 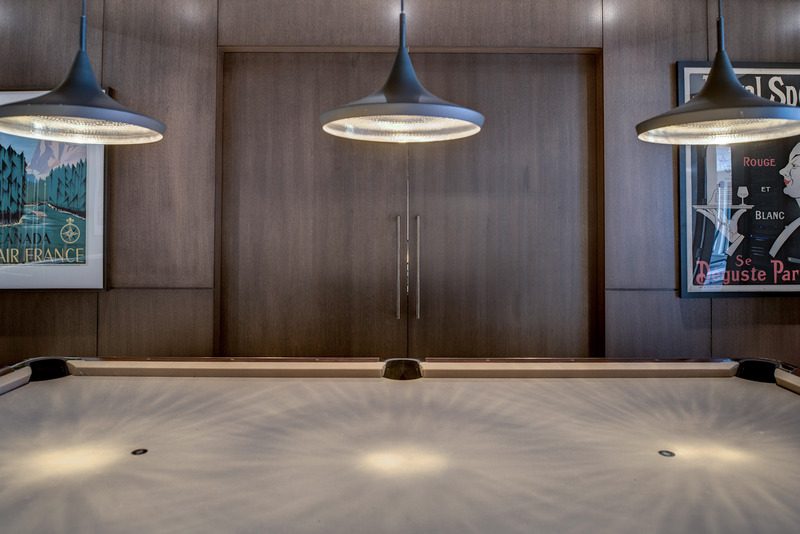 To illustrate both the beauty and durability of white oak, we’ll highlight below five projects that use the wood in different ways, but achieve a similar high-toned result. 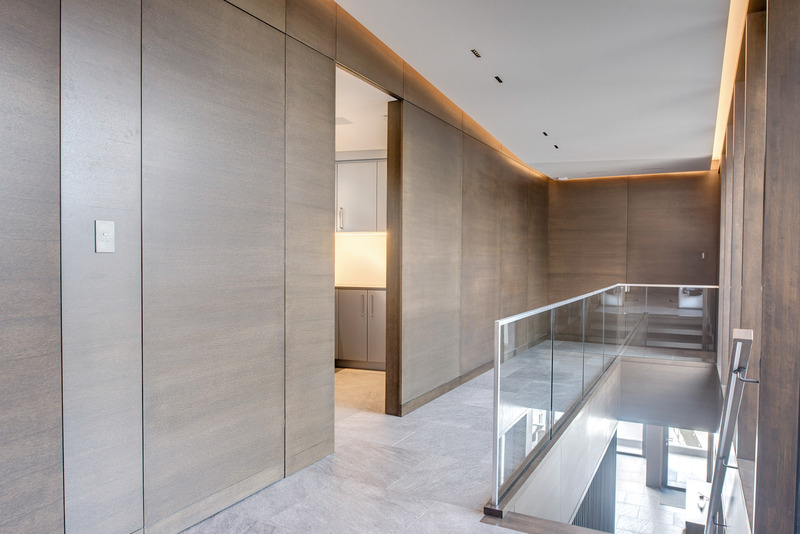 Cast your eyes along the rift-cut, white-oak flush interior doors and wall panelling, designed and produced here at Stilewood. 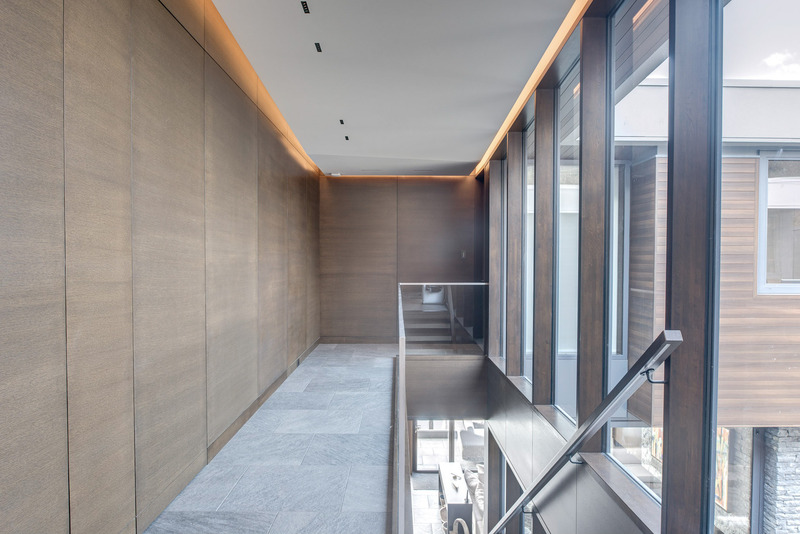 Our goal was to seamlessly match them, creating the illusion that the fully automated flush doors are part of the upstairs panelled wall. Enjoy this perfect – and perfectly ingenious – combination of the traditional and the contemporary. 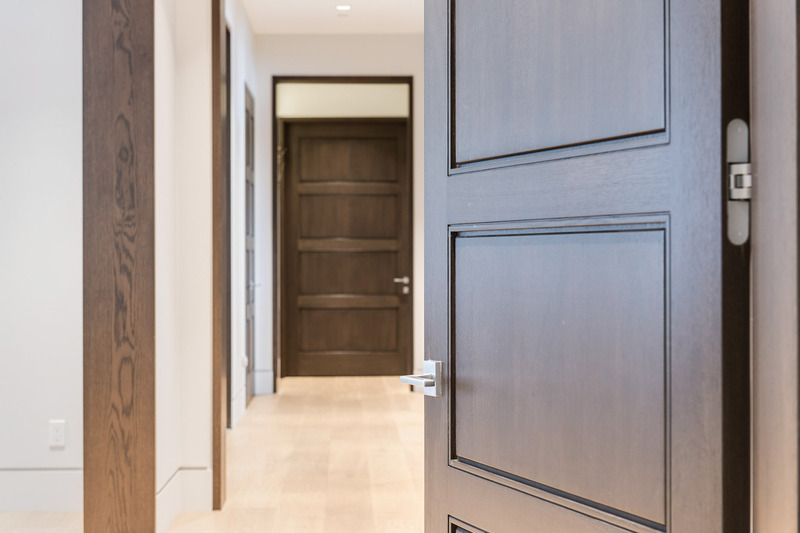 Stilewood designed these highly-custom, elegant interior doors with concealed hinges and a reglet jamb to achieve a look that’s both modern and timeless. 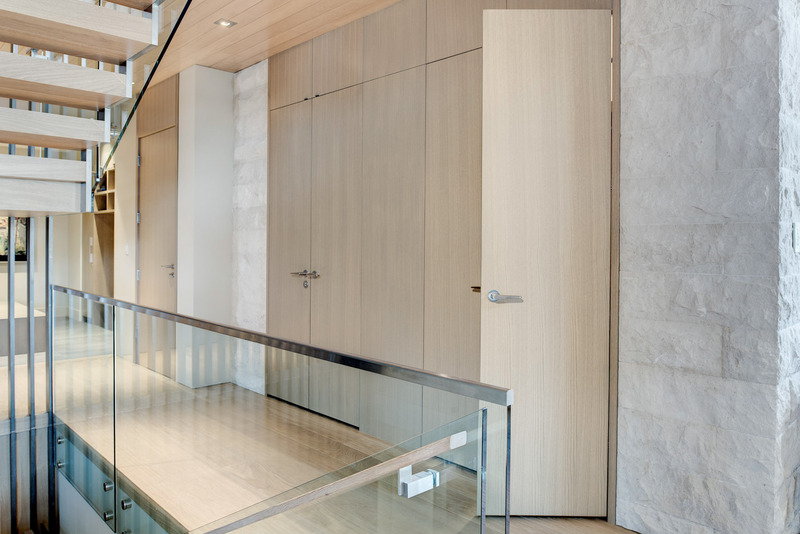 You won’t get a cleaner, cooler look than this: all sequence-matched, from the top of the frameless Dutch transom to the bottom of the double doors. And notice the radiant, translucent stain, giving off a fresh, present-day feel that any owner would love to come home to and instantly feel renewed by. 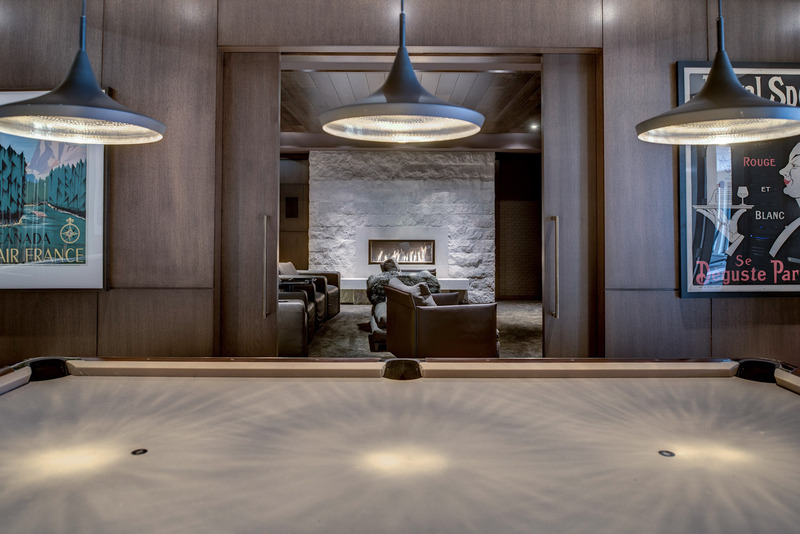 This setting, with its blend of metal elements and fibrous natural wood material, is so peaceful it’s almost spiritual. 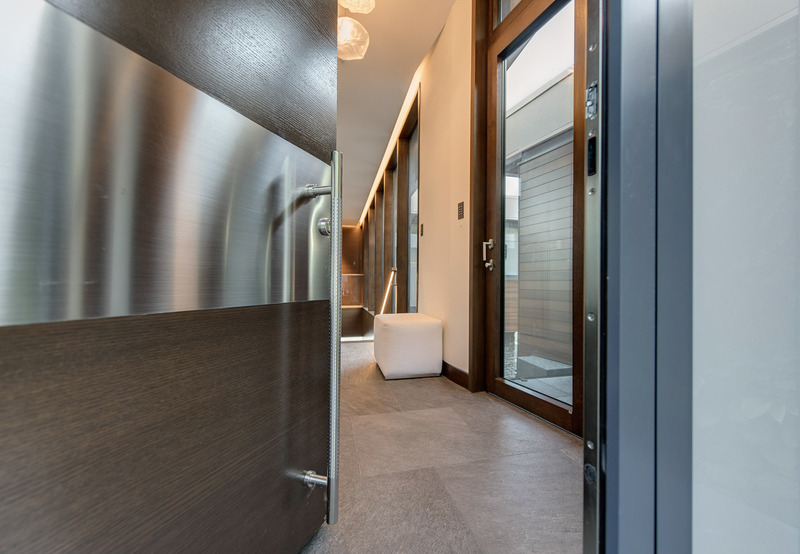 Gaze into the future with the revolutionary rift-cut white oak and electronically controlled flush-entry door system. For extra innovation, we included a 14-inch stainless-steel accent plate and 39-inch custom patterned handle. 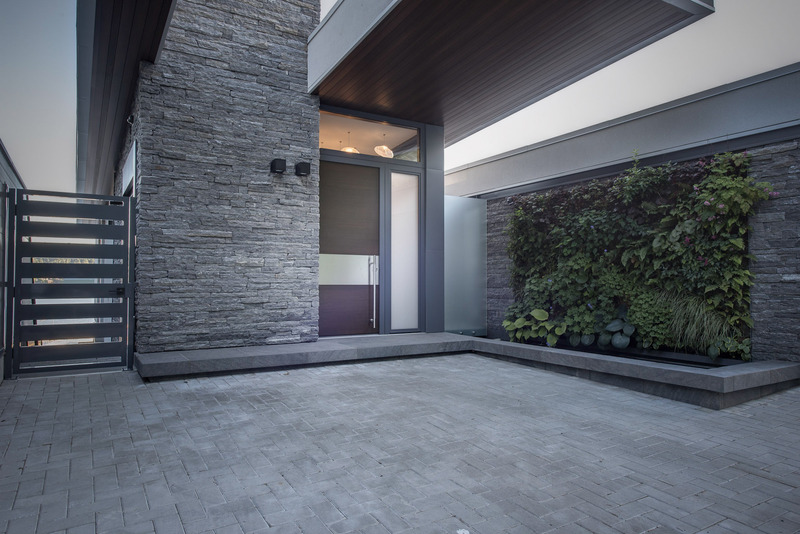 Retreat from the world in simple yet sophisticated splendour. Look: The dark stain matches your favourite dark liquor! Just open the seven-foot by eight-foot white oak pocket door – and enter your own, personal kingdom.